It’s the end of World Water Week. As you casually turn on your tap to get a glass of water to quench your thirst, we encourage you to read this story. We’re pretty sure you’re enjoy that glass of water a whole lot more. 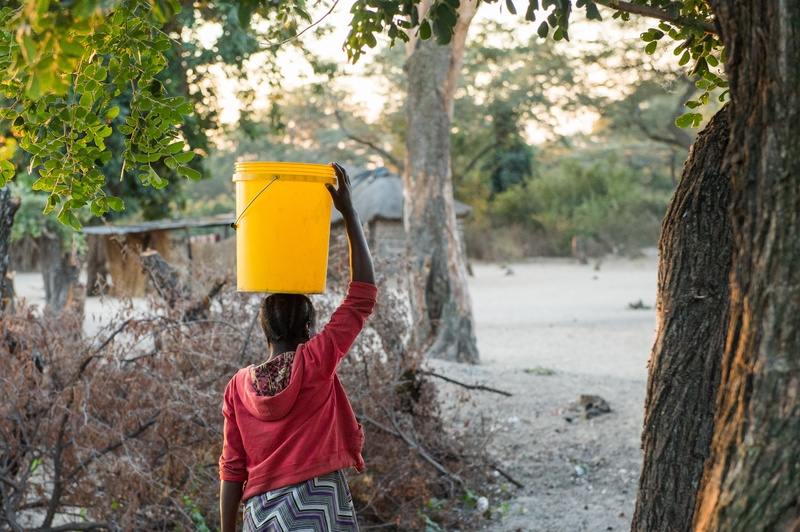 For people living in remote Mwandi, Zambia, access to water is a major challenge, and always has been. For many families, water can be hours away from home, and women and girls are often the ones responsible for collecting it. For others, the journey isn’t so long, but the conditions can be quite difficult. 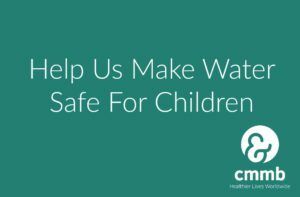 And in the end, after they have spent hours walking and waiting and avoiding dangers, the water they take home with them is filled with silent dangers – contaminants that lead to all kinds of waterborne illnesses. Sometimes, the challenges along the way are even bigger (and scarier) than you can imagine. Like the one that 13-year-old Mbongi encountered one day on her daily trip to collect water. 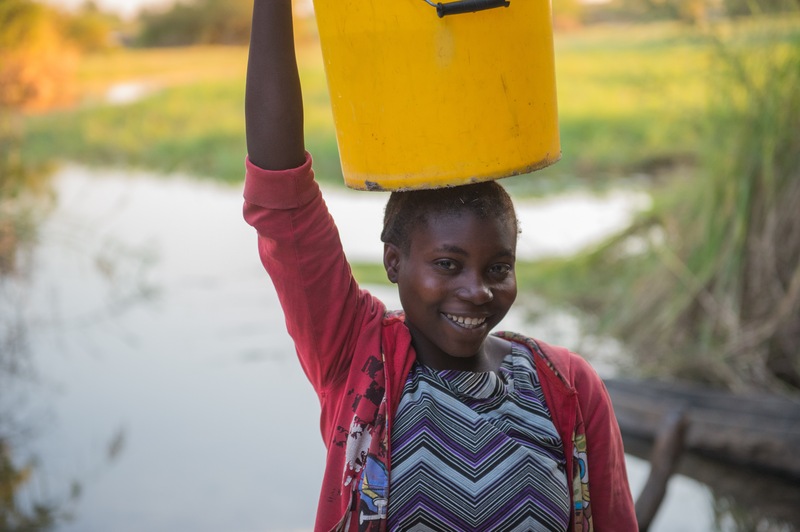 Mbongi’s home is walking distance to a river – she is responsible for collecting water every morning before school. It’s the source they rely on for all their water needs, including drinking. “We know the water is contaminated,” shares Mbongi’s mom, “but it’s what we’ve got.” She says that they sometimes boil the water – but more often than not they just drink it as is. “We are used to it now.” Normally a trip to the river’s edge is nothing too eventful. Mbongi walks over with a large yellow bucket, fills it up, and returns home to bath and prepare breakfast before heading to school. But one day, the trip to the river’s edge was different from all the others – a day she will never forget. In the reflection below, Mbgongi shares, in her own words, what happened that day. That morning was just like all the others. My mother went to sell fish at the market and I carried my bucket to collect water at the river. When I arrived at the river’s edge, I put down the bucket and dipped my hands in the water. I remember feeling like something wasn’t right. I felt like someone was watching me. I remember turning around and seeing its eyes. At first I didn’t believe what I was seeing, but then I saw its tail and I knew. It was a crocodile only a few feet away. I was frozen, I didn’t know what to do. It felt like hours passed, even though I know it was only seconds. At first I took a step back, but then I started running as fast as I could. I remember my heart beating so loud I couldn’t hear anything else. I kept running, losing my breathe, thinking the whole time that the crocodile was following me and that I was putting my family and neighbors in danger. But I couldn’t stop…I didn’t know what else I could do. I remember screaming and some people came out of their homes to look. When I finally got home I remember looking back, relieved that the crocodile was not there. I know that the crocodile saw me. I think it probably wasn’t hungry…and that’s why I am alive today. The next day I began my journey to the river just like I had the day before. Only this time, I cried. I was so afraid the crocodile would be on the river bank, waiting for me. I think about the crocodile every time I collect water. Now, I am a lot more careful. I move a lot faster – dipping the bucket in the river and moving away as fast as I can. You know what I do? Every time I go to the river, I say a little pray to God. I think He’s listening to me. 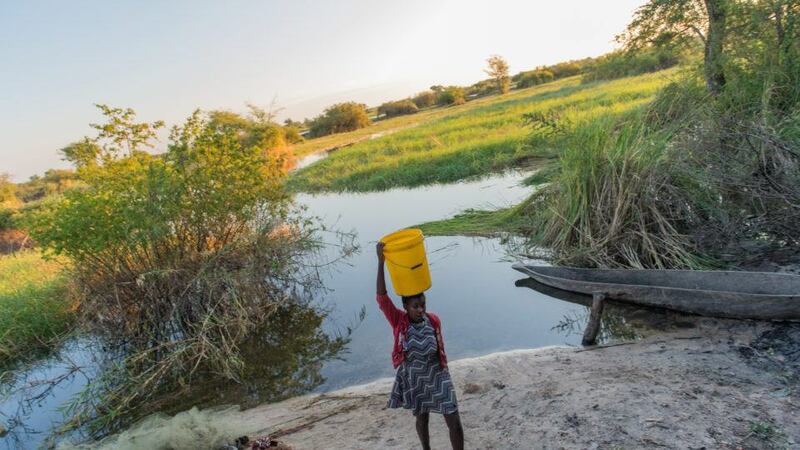 Despite this terrifying experience, Mbongi travels to the river every day to collect water for her family. Right now, Mbongi has no choice. But that can change and you can help.